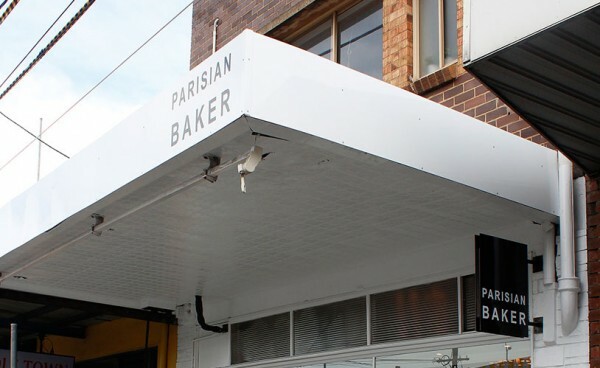 This renowned patisserie in Melbourne’s popular Moonee Ponds was branded in pretty pink with an elegant script font when the client approached FLUX to work with him on a bold re-brand. 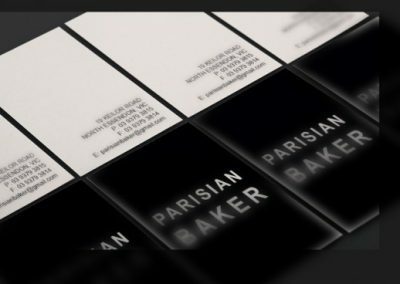 He wanted to get rid of the pretty feminine feel & go for something bold & contemporary – no icon, a very sleek, simple font, white on black. 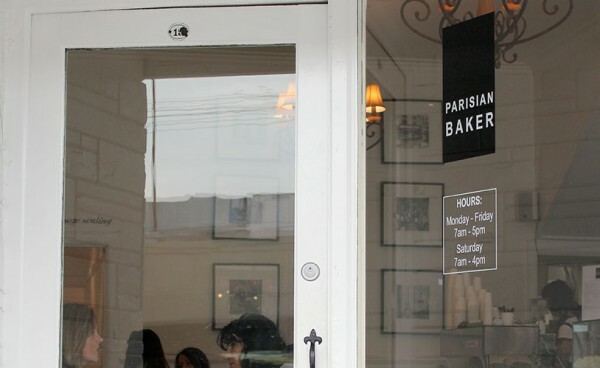 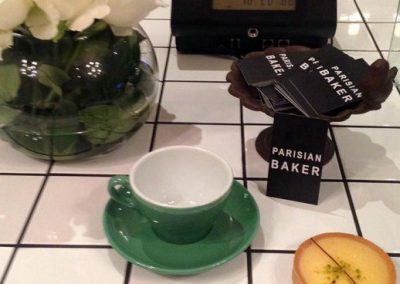 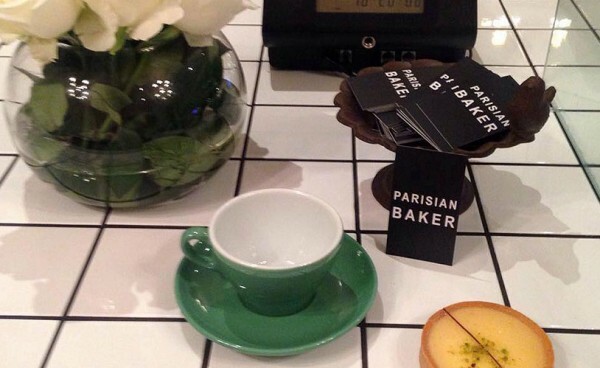 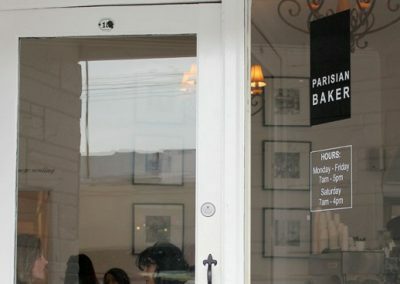 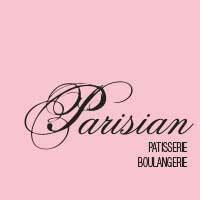 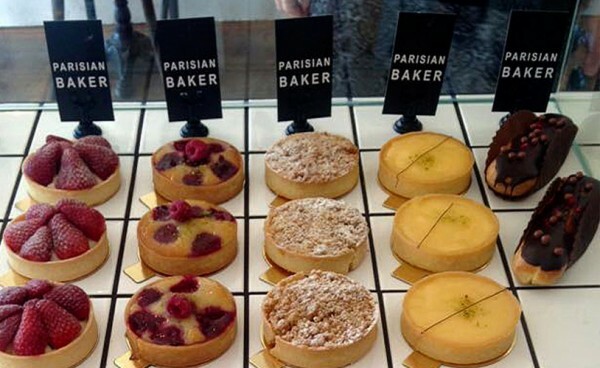 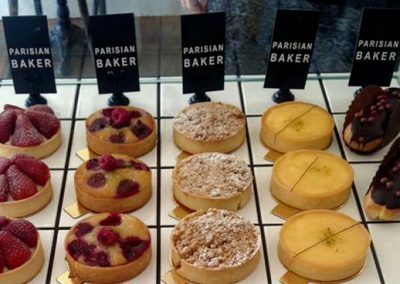 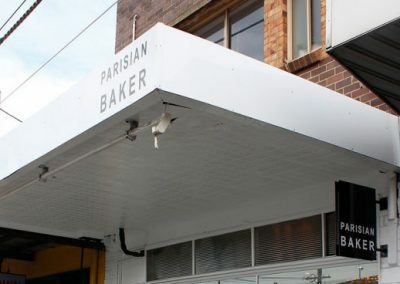 The name also changed from Parisian Patisserie to Parisian Baker. 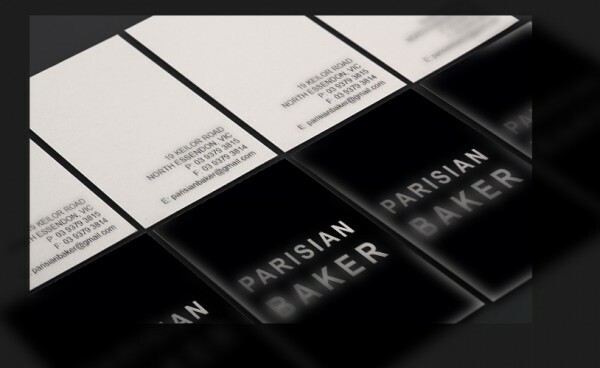 As well as designing & co-ordination the printing of business cards, gift vouchers, stickers, labels & external & window signage, FLUX advised on new interior shop fittings.